Things are going to get pretty muddy as the Del Mar Fairgrounds and the VAVi team pair up for The Del Mar Mud Run on Saturday, Nov. 13. The mission of the day is simple. 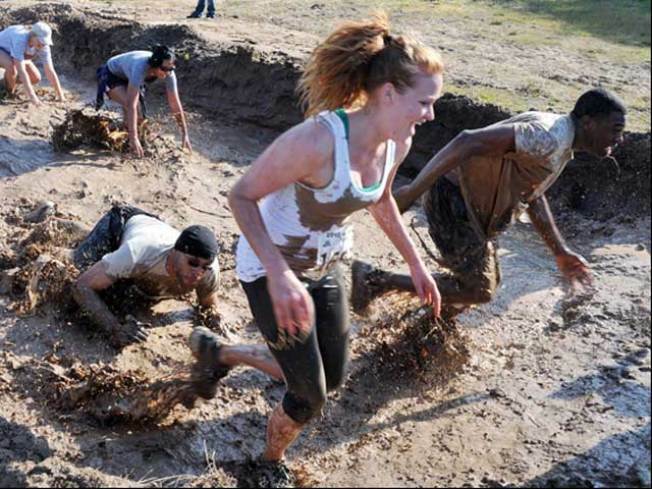 Get through the course, get dirty and have fun socializing and meeting new people. Mud Run is setup like a military obstacle course, with dozens of tunnels to go into, objects to crawl under, and walls to climb and, of course, mud to cover every inch. Those who want a sneak peek at all the ins and outs of the day’s challenge can view the top-secret map online. Prizes and awards are in store for the winners of the run as well as those who show up dressed to impress, and we don’t mean in a business suit. Participants are encouraged to dress up as silly as possible with their teams and keep the shenanigans going well into the night. Taking “dirty dancing” to a new level is Mud Fest, the Mud Run after party where you’ll get to freshen up a bit with a beer, dancing, live music by DJs Mikey Beast, among others, and plenty of vendors. Think your ready to run, walk and crawl your way through the course? Registration for the Mud Run is open to individuals and teams. So grab some of your best muddy buddies and or put yourself up to the ultimate challenge with an individual spot and head over to this site to get on the list of competitors. The Del Mar Mud run kicks off at 9 a.m. with Mud Fest running throughout the day and you can check out the event’s website for more details.